Jacobs ladder walk. 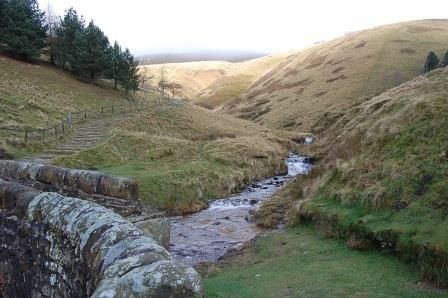 One of the best walks in the peak district near edale and chesterfield Derbyshire. 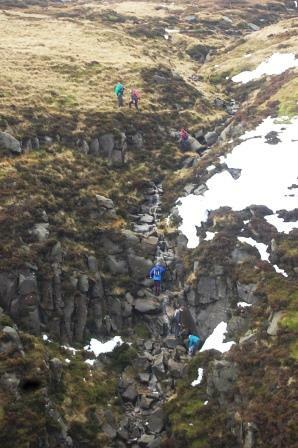 Jacobs ladder is the start of the pennine way. 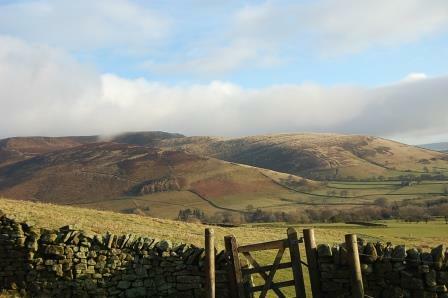 Start/Parking: I always start at Edale car park. Grid ref 125854 (OS Explorer SL1). Enter S33 7ZA into your Sat Nav. As you reach Hope you should turn onto Edale road, after a few miles you’ll find the car park on the right just before you turn right into Edale village. The last time I visited (Feb 2013) the parking costs were £3.00 for 2 – 4 hours and £5 for over 4 hours - don't forget your £1 coins. Walk summary: I started the walk at 9.30am and reached the village pub at 2pm (4 ½ hours). 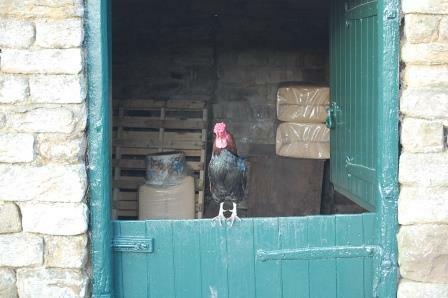 I stopped a couple of times for a cuppa but not for lunch. The walk starts at 231m and the highest point is around 620m. There is a number of styles, rough tracks and steep hill climbs - you have to be fit to attempt this walk. Follow path downhill to farm buildings, pass through and follow road to right. 8. Follow path around edge of cliff keeping Edale down on left. 9. 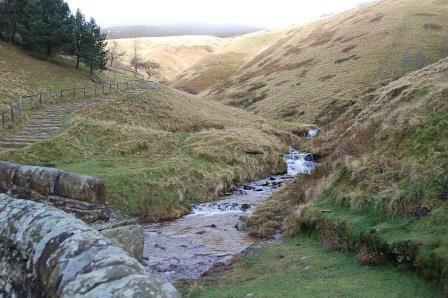 Continue along path to large flat rock – decend to Nab to Edale. I started the jacobs ladder walk at 9.30. 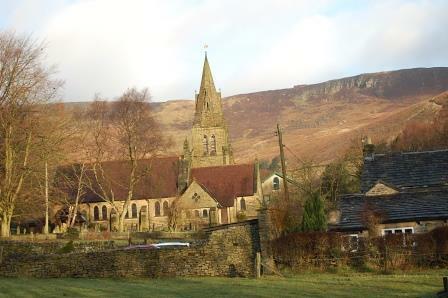 Leave the car park by the steps to the left of the car park pay machines and turn right up the road to the centre of Edale. 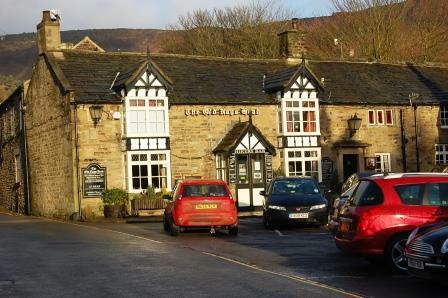 You’ll see the pub on the right; opposite the pub you’ll see the sign for the Pennine way. Take this path, through the gate and up the track with the stream on the right and the camp site behind the trees on the left. Through the gate at the top and through the gate on the left still sign posted the Pennine way. You could follow the path to the right here and continue to the top of Grindslow Knoll. 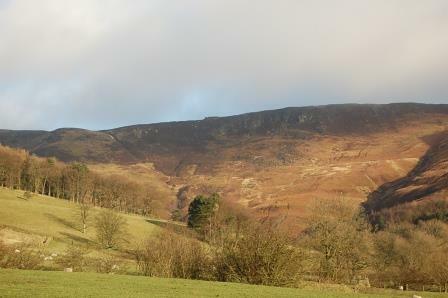 You could take this shorter walk after Grindslow Knoll you’ll come to Grinds Brook (section 11 below). Follow the path through a small opening in the wall and 4 gates. At the 5th gate walk up the small hill. Here you will see a path to the right which is the way to Crowdens gorge. For Jacobs’s ladder follow the main path down the hill towards the farm buildings. The path comes to a large gate leading to another large gate. Here follow the path through the farm to a main looking road. Turn right up the road. There are 2 routes to the top from here you can follow the easier path through the gate to the left towards the broken down shack and up to the cairn or follow the path in front up Jacobs ladder. If your party split here you can meet at the cairn halfway up. When you reach, what appears to be, the “top of the hill” you’ll find a small flat wall. I believe this was put here for hikers, like me, to rest for 5 minutes, take a well-deserved drink of water and take in the view. I remember writing these notes while resting a few minutes and noticed the “loud” silence and saw no-one, what a perfect way to spend an energetic day. There was a little snow, some misty cloud descending and total silence apart from the cascading water below – should have been a poet. The jacobs ladder walk is a perfect way to spend an energetic day in the peak district - just think of the 1,000's queuing at Meadowhall?? I reached the wall at 11am. From the wall you will see the path continues to the right and up the hill to the rocks above. When you’re ready follow the path to the rocks at the top. Once at the top follow the path north to the Cairn and follow the path to the left and continue on to “Edale Rocks” I reached the rocks at 11.20am. 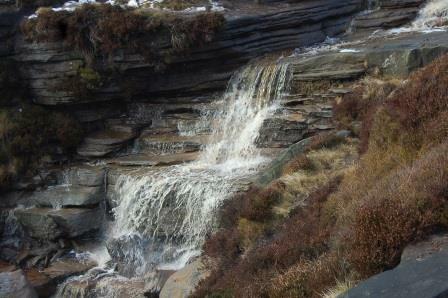 If you continue north you’ll come to a path on the right which is the Penine Way leading to Kinder Downfall. You could walk to Kinder downfall and return to Edale Rocks as an extension to this walk, it’ll take an hour and half meaning you’ll finish the walk by 3.30pm (I’ll probably do this addition next time I’m camping in Edale). 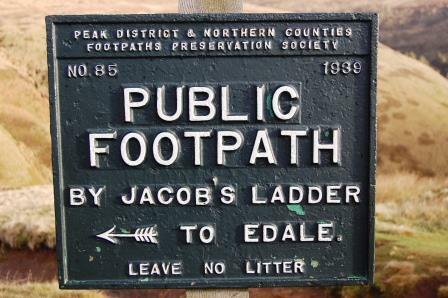 Anyway, when you originally walked up to Edale Rocks you will see a small but defined path leading east – that’s our walk. Follow this path East to what can only be described as a “E.T’s Head”. Continue along the same bearing/path with the large rocks on your right and onto the “rock graveyard”!! You’ll come across four rocks sticking up in the air. After these follow the river bed if it’s dry enough. You can confirm your position of being at Crowden’s tower by the small sign on the left and then you’ll reach a man-made path which leads to Crowden’s gorge. 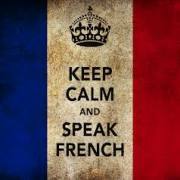 I reached here at 12.00. Take the path to the right (South east). The view here, even with a little mist is breath taking. You’ll reach a Y fork in the path. We’re taking the left hand fork. The right follows a path to the top of Grindslow Knoll. 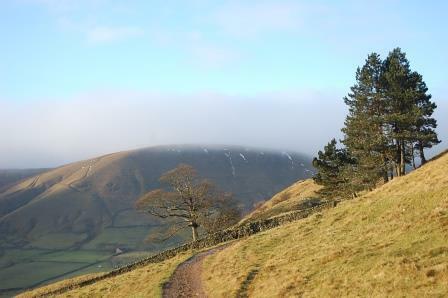 From here you can descend to edale and the path you were originally on (paragraph 3). 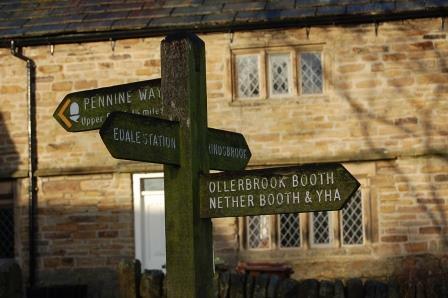 Anyway follow the fork to the left which will bring you to Grindsbrook, another excellent decent to Edale. I reached grindsbrook at 12.30pm. We, however are doing the full jacobs ladder walk, so continue along the path and follow it around the basin to descend via the Nab. Follow the path to the next gorge, cross over and double back on yourself on the other side of the gorge. 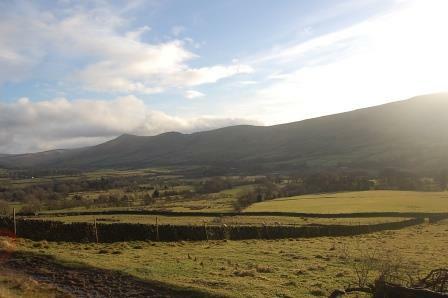 To the right of the path you are on you’ll see Edale in the valley. You’ll also see the path following Grindsbrook to the trees at the bottom. 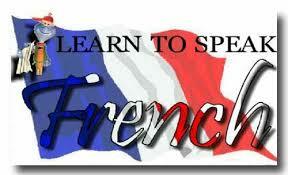 Eventually you’ll reach a rocky outcrop and a huge flat stone. Just after this you’ll see the path to the right which drop down to the Nab. 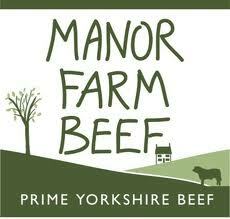 (Straight ahead you’ll see a good view of Mam Tor). Once you reach all the rocks look for the path to the right hand side. 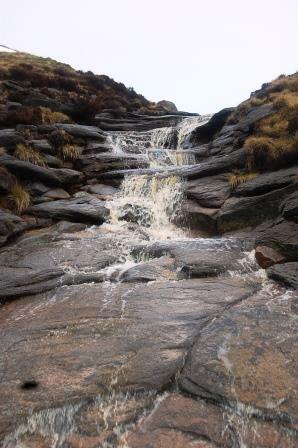 This descends down in the direction to Edale. I reached the few rocks looking over the Nab and decided to take the path straight down to the walled-in wooded area. It was a bit slippery but I was looking forward to a well-deserved pint in the pub. At the end of the wooded area you come to a gate, go through and decend the hill following the path to the left of the brick hut. Follow the steps down and over the bridge, up the steps to the road and turn left. Follow the road back to the car park stopping at the nags head for quick one. I reached the pub at 2pm. I hope you enjoy the jacobs ladder walk - send us some feedback. More walks near Chesterfield in Derbyshire.